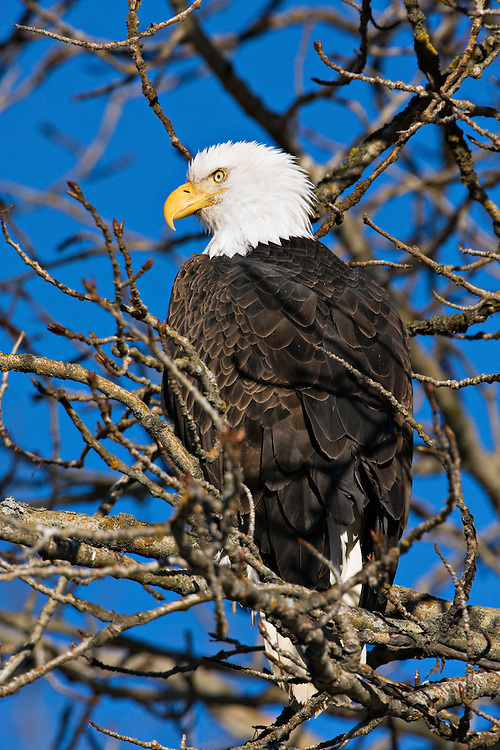 Bald eagle perched in tree in Chilkat Bald Eagle Preserve near Haines, Alaska. Southeast. Winter. Morning.